The premium handmade 1502 Ruby Robusto is part of a hot new line of small batch boutique cigars coming from master blender and seasoned tobacco expert Enrique Sánchez. This medium-bodied, yet full flavored smoke was brimming with lush Cuban-style flavors of spice, earth, coffee, cedar, and subtle hints of dried fruit on the finish. A great after dinner smoke! This is my “go to” cigar. Bizarrely, it seems to be the only one of the 1502 breed that i like, but i like it a LOT. The Ruby is a simple, mild but flavorful smoke, and while the Emerald, Sapphire, Black Gold and other lines increase in the amount of pepper and robustness as they increase in cost, they don’t offer much in the way of improvement over the Ruby. The Ruby draws excellently, smokes aromatically and burns evenly. I happily smoke it outside on the deck in the Summer with whiskey or in the indoors over brandy or cognac in the Fall or Winter. For the price, I’ve found little that can top it! 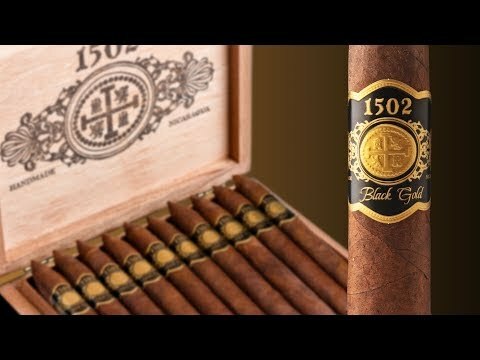 What do you think of 1502 Ruby Robusto?